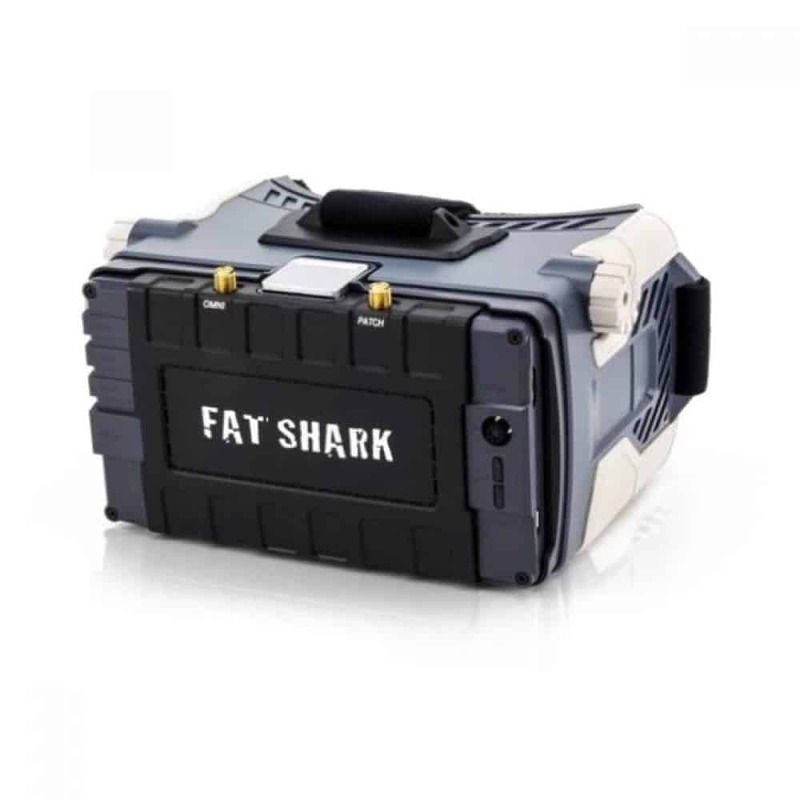 Up until now, Fat Sharks were seen as pretty much the go-to goggles for all pilots who had the budget – simply because of their incredibly portable size – I can fit my Dominator V3s in my transmitter case along with my Taranis Q X7. This means I can fit all my stuff into a small backpack, strap my quads on the front of the bag, and I’m off. So now, Fat Shark has released their own version of box goggles – the Fat Shark Transformers, and the new version of the Transformers is the Transformer SE. From what I’ve read on forums, and briefly tried other people’s stuff, box style goggles are definitely more immersive than the portable style goggles. The field of view (FOV) on box style goggles is way bigger than the field of view on smaller goggles. My Dominator V3s, for example, have an FOV of 30 degrees, whereas these Transformer SE goggles have a field of view of a massive 55 degrees – nearly TWICE as bigger! There are two(well three) ways to use the goggles. You can either view the screen through the binocular optics, which will magnify the screen image – which is split into two, one for each eye – giving you the awesome immersion and experience. You can also remove the binocular optics and just view the screen normally through the box – the field of view may get a little smaller in this case. The screen itself is a 720p screen, so when you’re using the binocular optics and split screen, you’re effectively just getting half the pixels per eye – but considering that the camera feeds we use are (so far) standard definition CCD camera or CMOS camera feeds, I don’t think it’s really going to matter. Another nice thing is that the binocular optics have focus adjustments built-in so you can actually see properly even if you have a power of around -5 to -6 – if you’re like me, though, and have an even higher eye power, then you’ll either have to manage with -6 or wear contact lenses. In some of my other posts regarding goggles, I’ve actually written about how box goggles were generally easier to use for people with glasses – but now that custom diopters are so easily available for sleek goggles, it’s not that much of an issue anymore. The Transformer SE goggles screen can de-couple from the rest of the assembly, so you can use it as an independent viewing screen, too. This is really cool, and makes for really easy use as passenger goggles, or for some LOS/FPV mixed flying. The construction of the goggles is really smart. The screen attaches using a clasp to the main assembly, but the power line goes directly into the screen, so you don’t need to muck about with the rest of the assembly when you’re not using it. The screen has a 32 channel 5.8g diversity receiver built in to it. I am kind of disappointed it’s just 32 channels – it just supports the traditional four bands and nothing else. Fat Shark is actually quite notorious for not including decent receivers in their gear. Up until the longest time, they would only have 8 channel receivers built into their lower level models, which means you were stuck using the F band and nothing else. They’d also claim that only ImmersionRC transmitters would work properly with their gear. Even for the lack of channels, the idea of diversity is really nice and while you don’t get decent antennas in the package, you’ll have antennas lying around which you can use. The ideal diversity setup is an omni antenna(circular polarized) on one side, and a directional(patch or helical) on the other side. The receiver is built into the screen, which is nice – even if you detach the screen from the box, you’ll still retain functionality. Fat Shark has been in the business for long enough to know what they’re doing regarding comfort – the Transformers are quite comfortable on the face from what I have read and heard, and they have a 3 way strap – two bands join together in the middle to wrap around the circumference of your head, and one band goes over the top of your head by your crown and joins with the two side straps. 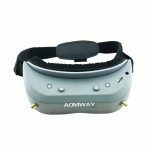 This gives the goggles a really nice grip on your head and prevents them from tilting up or down too much, which can happen with just horizontal straps that are not tight enough or too tight. The back of the strap has a little pocket where the lipo sits in – this is nice, because it balances the weight of the goggles to an extent. This is just my opinion, but I ABSOLUTELY LOATHE the stock Fat Shark batteries. They’re lipo batteries that you can’t even balance charge, and the capacity is woefully low – the batteries that the Transformers ship with are just 1000mah in capacity. The current rating is 500mah using a 7.4V battery and the receiver/screen both, so if the numbers are accurate, you can get about 1.5 hours on a single charge – but a more realistic number is more like 1 hour at the most. So you’ll pretty much be charging the stock pack every time you go out to fly. However, one thing Fat Shark did happen to do correctly is have a wide voltage range of 7-13V – so you can use a 3S pack, too, and one with larger capacity. You’ll just have to make a little adapter for the barrel plug, which is not too hard. But honestly, Fat Shark, would it kill you to use a female XT-60 plug on your goggles? 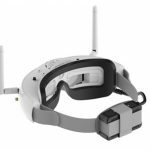 Aside from the battery issues – which let’s face it are present in really all Fat Shark and perhaps all other goggles, too – the Transformer SEs are solid goggles. They’re a little costly, almost as much as Headplays, and significantly less than the other Fat Shark goggles. They’re comparatively more portable than the Headplays or other box style goggles out there. 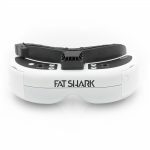 The detachable screen is a huge plus, and Fat Shark seems to be aiming to corner the box goggle market too. Finally, the massive FOV may take some getting used to if you’ve flown using the smaller goggles. Suddenly being able to see twice as big stuff will require some adjustment, so don’t fly your toughest track or spot on your first pack, otherwise you’ll be running into a lot of ghost branches! 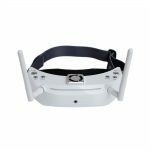 Eachine EV200D (P)Review: A true Fat Shark alternative?